I hope that your week was a wonderful last week of November! I can hardly believe we are finally back here again at Christmas being right around the corner. It’s time for festive things like hot cocoa and cool nights by the fire. Some of my favorite things! Speaking of winter, The Epiphany is open for a Holiday round that just started yesterday! I quite honestly have been floored by all of the talent this round and I know you’ll love it all too. 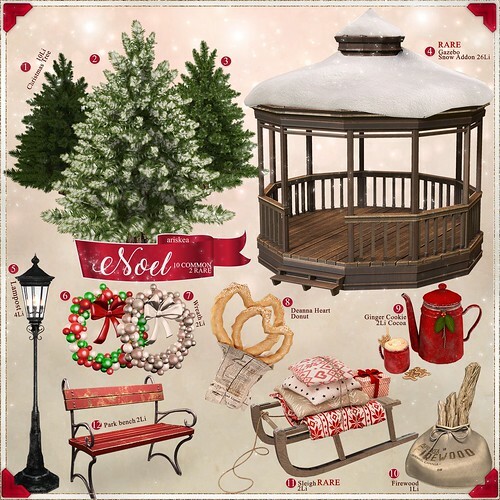 I especially am in love with Ariskea’s latest set called, “Noel” that is now available at The Epiphany.